Over the weekend and under the radar, former world title challenger Froilan “The Sniper” Saludar returned to the ring in Iligan City and scored a TKO win over journeyman Donny Mabao. Saludar lost to then reigning WBO flyweight champion Sho Kimura of Japan last July 27 in Qingdao,China. Saludar dominated Kimura in the first two rounds. But the Japanese showed resiliency and heart and unloaded hellish body shots, eventually dropping Saludar in the fifth and finishing the job in the sixth. Saludar’s camp cited problems in dropping to 112lbs as the main reason for the collapse. They planned to move up a couple of divisions higher. The 29 year old Saludar weighed 117lbs during the official weigh-in for his December 1 bout against Mabao, who was two pounds heavier. The official result sent to this writer stated Saludar winning by TKO due to a body shot in the final round of an eight rounder. Time 1:56. Saludar is now 29-3-1,20KO’s. Mabao drops to 22-39-3,4KO’s. The fight was held at the Central Market Gym in Poblacion, Iligan City and promoted by Arnold Palafox. The main bouts saw Clyde Azarcon beating Ronnie Tanallon by 7th round TKO and Cris Ganoza winning by unanimous decision over Ryan Ralozo. Kimura is now an ex-champion having lost his title last September to countryman Kosei Tanaka by majority decision in a brutal and scintillating contest. Froilan winning the title would have made Philippine sports history. 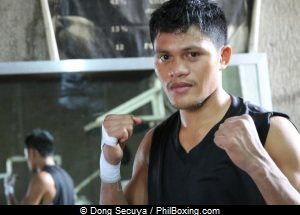 His brother Vic Saludar won the WBO world minimumweight title last July 13 by unanimous decision against Japanese Ryuya Yamanaka in Kobe, Japan. They could have been the first Filipino brothers to win world titles on the same month. So if Froilan stays at bantamweight, what are his options? The World Boxing Super Series bantamweight tournament is ongoing. The Filipino Flash, Nonito Donaire dethroned WBA super champion Ryan Burnett of the U.K. last November 3 after Burnett suffered a back injury in the fourth round. Donaire is slated to fight the WBO champion Zolani Tete of South Africa in the tournament semi-finals. Last October, Tete beat Russian Mikhail Aloyan by unanimous decision. The two other boxers in the semis are Japan’s Naoya Inoue, who had an eye-catching first round KO win over Dominican Juan Carlos Payano, and Puerto Rican Emmanuel Rodriguez, who beat Australian Jason Moloney by split decision. Rodriguez holds the IBF title while Inoue is the regular champion of the WBA. The finals is slated in the summer of 2019. Saludar is now in a very exciting division. He could target the Super Series winner, or if there are title belts that could get vacated along the way, he could position himself for another title shot if he can get highly ranked. But first, he needs to get comfortable with his weight and prove himself against tougher foes in the 118 lb. category.